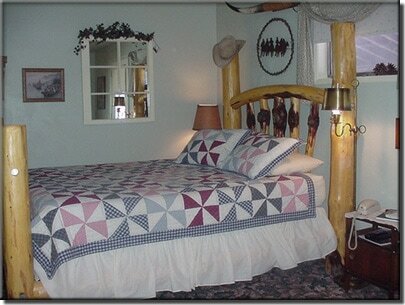 A western theme room that is fun and comfortable! A burled pine queen size bed. 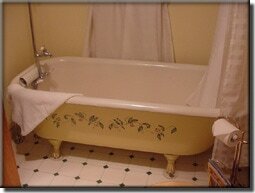 Renovated original bathroom fixtures, including a great claw foot bath tub and air conditioning.